The purpose of the ferry and bridges make it easier for people to connect. Trade, commerce boosted by easier routes to market. How do you cross a wide and important river? Build links that can take the weight and stress of people and vehicles. The Tamar is a river in south west England. It forms most of the border between Devon and Cornwall. The area has been important for trade since before medieval times – largely because of tin mining in the region. 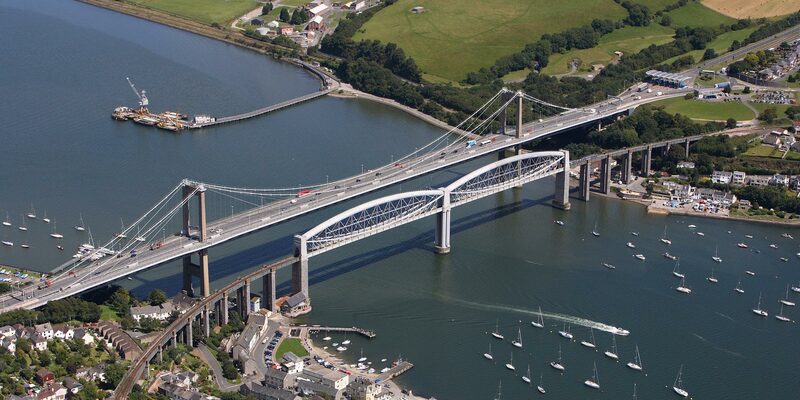 There are 24 crossings over the Tamar, including a rail bridge and a ferry. Some of the road bridges date from the 13th century. Although the Tamar crossings were built many years apart, they are seen as a single civil engineering project as they all have similar goals – moving people and goods around to boost the local economy. This replaced an existing ferry boat in 1834. The new crossing used steam-powered boats pulling themselves along chains laid on the riverbed. A wrought-iron railway bridge designed by Isambard Kingdom Brunel. Opening in 1859, it was Brunel's last finished project as he died a few months later. Built in 1961, a major road bridge. At 335m long, it's a well-known local landmark. The Tamar is a river in south west England that forms most of the border between Devon and Cornwall. The area has been important for trade since before medieval times – largely because of tin mining in the region. The Torpoint Ferry was more reliable than the boats it replaced as they were often slowed down by strong river currents. The Royal Albert Bridge cut journey times between destinations in Cornwall and Devon. The Tamar Bridge made crossing the river easier for vehicles at this point. Previously, cars and lorries were forced to detour via a one lane road bridge or use the ferry. The bridge also eased congestion in the area. Constructed by engineer James Meadows Rendel. He'd already had success with a chain ferry crossing the river Dart and used the same method to bridge the Tamar. Rendel laid iron chains on the Tamar riverbed - steam powered boats used these to pull themselves across. The chains then sank to the bottom to allow other ships and boats up and down the river. Engineers vertically sank a 10.6m (35ft) diameter wrought-iron cylinder in the middle of the river. This rested on the bedrock with the top just above water level. Workers used the cylinder to build a 29.2m (96ft) column of masonry high. This column formed the bridge's mid-stream support pier. The wrought iron spans for the bridge were built on shore, then floated out into the river for assembly. Was then the longest suspension bridge built in the UK. 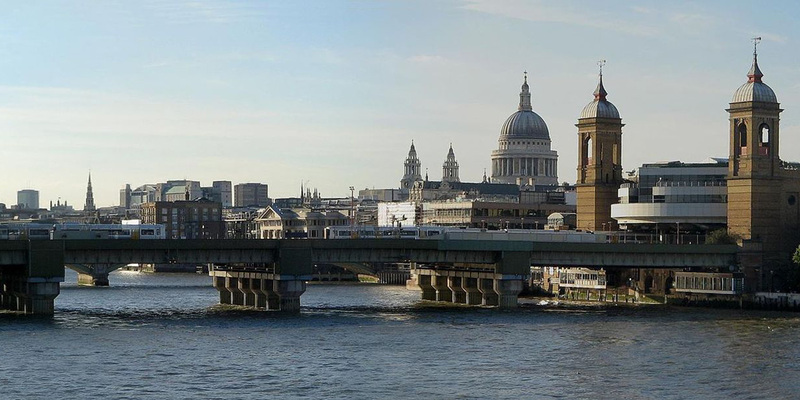 Engineers constructed 2 concrete towers to support the bridge, each 67m high. Support cables were hoisted over these. They then attached hangers – steel suspender cables – to the support cables. The road deck was carried out by barge and lifted into place by cranes. Much too wide to be worth having a bridge. writing about the river Tamar in 1828. 30 years later he built a bridge over it - his last project. 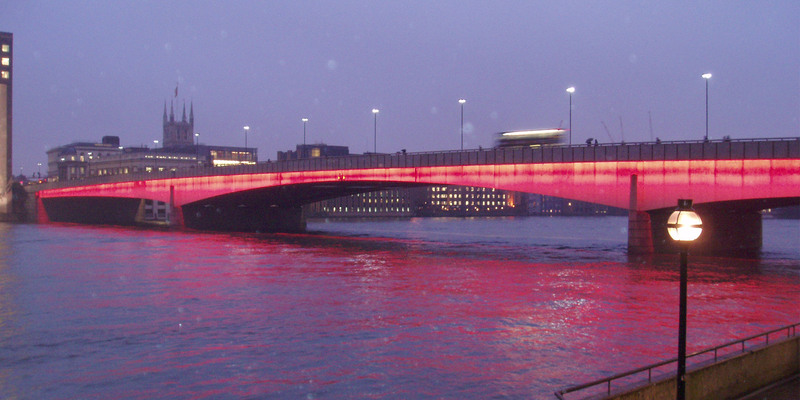 The Cornwall Railway Company made the Royal Albert Bridge a memorial to Brunel after his death. Directors had the words 'IK Brunel, engineer, 1859' added in large metal letters to either end of the structure. A traditional Cornish tale says that the Devil would never cross the Tamar in case he was turned into a filling in a Cornish pasty. The 'Alliterative Morte Arthure', a poem telling the story of King Arthur and dating from around 1400, has a scene set on the Tamar. Arthur is fatally wounded on the river bank in a swordfight with his arch-enemy Mordred. James Meadows Rendel, ICE president, designed and built the Torpoint Ferry. Isambard Kingdom Brunel, ICE president, designed and built the Royal Albert Bridge. Mott, Hay and Anderson designed the Tamar Bridge.